Governments around the world are increasingly taking steps to improve their accounting and achieve greater transparency and better public finance management - amidst growing recognition that the accounting framework traditionally used by the public sector isn’t fit for the 21st century. Accrual accounting principles reflect the long-term economic impact of political decisions in the financial statements. This results in a comprehensive view of a government’s assets and liabilities, and of its financial performance and cash flows. 7 in 10 governments intend to use accrual accounting in 5 years’ time, with IPSAS (International Public Sector Accounting Standards) being often taken as a reference point. While in Europe, the European Commission is progressing with its plan to adopt harmonised accrual accounting standards for all EU Member States, the research shows that the biggest shift to accrual accounting is expected in Africa and Latin America, followed by Asia. Among the non-OECD countries surveyed, 50% plan to transition to accrual accounting in the next five years. The governments surveyed also indicated their priorities for the next five years include one or several of the following projects, depending on their position along the government finance maturity spectrum: accrual accounting (based on IPSAS or similar standards) implementation, modernisation and greater integration of IT systems, capacity building and improvement of management information systems. The report ‘Towards a new era in government accounting and reporting’ (2nd edition) is available to download at pwc government accounting and reporting survey​. Survey data was collected over a 12-month period ending in March 2015, via interviews conducted in-person and by telephone, or via an online survey questionnaire. 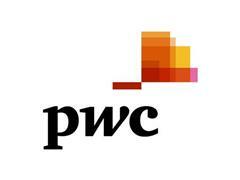 In total, 120 countries are included in the PwC global survey.